Flipping around in my image library while doing some Lightroom testing, I came across an image that I happen to see fullscreen, and was wowed by it much more than a small-sized view would have led me to expect. I'd published it before (two and a half years ago in “A Few Unremarkable Fern Pictures”), but with desktop-image sizes, so I thought I'd go ahead and do that today. It's from a trip a couple of years ago to Giouji Temple, images from which have appeared many times on this blog... if you're interested, check out the “nearby photos” link for more. Fantastic photo. I really like the green lush velvety carpet. The DOF strengthens the photo too in my opinion. That’s a pretty cool photo on your blog. I just set it as background and it BLOWS ME AWAY! I know you can always see so much more on the larger versions of photos, but the difference in this particular photo is astounding. First time in AGES I’m not using one of my own photos of the kids (or dog). 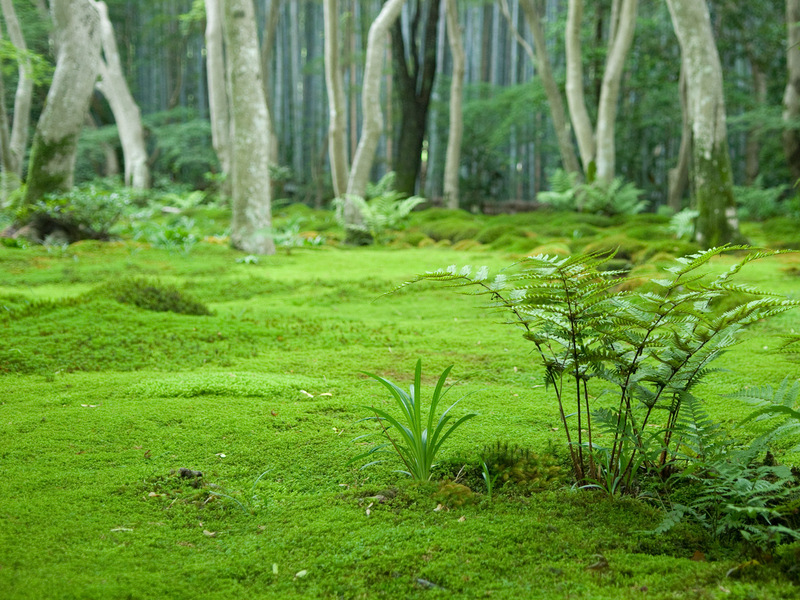 Another reason to be jealous of you in Japan: I’m not sure how the climate there is just so perfect for moss but it thrives there. In the U.S. 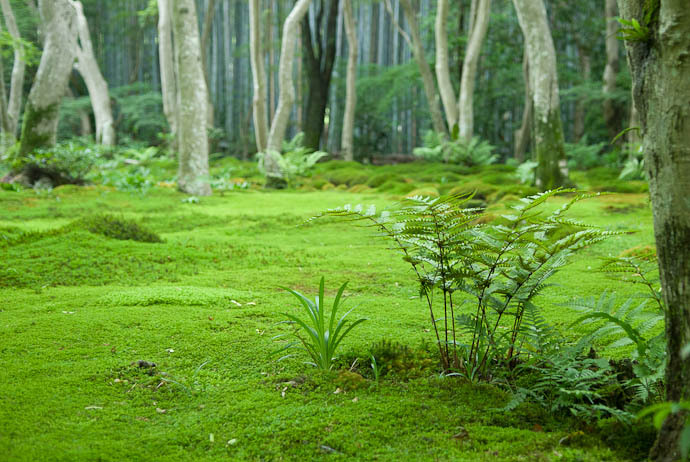 I think the Pacific north west gets great moss like that but over here on the East Coast you’ll get it at the base of a tree… but never thick carpets like that. (Maybe deep in the woods) I’ve even tried to grow it here and its not that easy. My father-in-law (he lives in Himeji) even gets moss growing on the soil in the pots of his indoor plants. -It makes boring old house plants look like mini-bonsai dioramas. When I asked him, “Hey, how’d you do that?” He just shrugged and laughed. And then told me that it just grows on its own. This is the third day when I am browse your site, it is just amazing how beautiful your pictures are. I am not really often leave a comment, i almost can say i never ,but after these days i decided i ll do it. I like them most because the colors and the quality is so good, the colors are so intense and bright and are full with life, its kind of hard to explain but it brings that special feel of japan and the beauties of nature and history also. when i found the pictures about stone carving it was brilliant , they are really beautiful and the theme choosing is perfect.Are you doing some modifications(Photoshop..etc.) after the pictures are taken or you just an amazing photographer:)? The northern parts of japan are belong to a subtropical climate area, the other two-third, the southern parts are belongs to the monsoon territory .the wind blows from south-east and at the summertime it brings a lot of rain. it makers the island very humid . the most rainfall is around June-July . its kind of important for the moss because they need rain critically for those species which lives there, they need rain for propagation. the cells which ones are responsible for propagation need water, they kind of move in water with their paddle. I am not sure these are the best words but i try to explain it. so this humid weather makes the perfect place them to reproduce and spread, there are more than a thousand moss species and all of them are almost can be found everywhere. 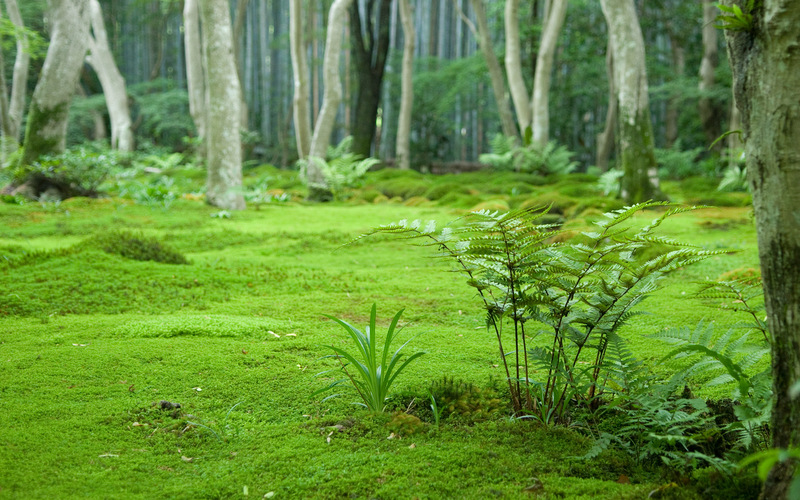 What they are cultivating in japan is about 40-60 species, but there are more out in the wild. nice photo, there is a relaxing atmosphere looking it.